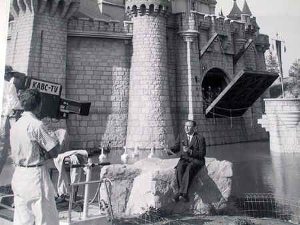 When Walt Disney was originally building Disneyland, he set up a private apartment for himself and his family above the Fire Station, right next to City Hall, so he can stay and watch the construction activity, instead of travelling in LA traffic back and forth between Burbank and Anaheim. While Walt was still alive, cast members always knew when he was present at the park because he would turn on the lamp next to the window. After his death, they have kept the lamp lit in his apartment in remembrance of him, to show that his spirit is always present in the park. When Walt’s daughters are present in the park, the lamp is turned off out of respect to them. 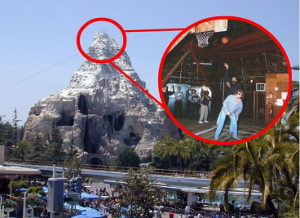 When Walt was building the Matterhorn there was some extra space towards the apex of the mountain (only the bottom 80 feet are used for the ride) and he asked his cast members what they would like to have put there and they voted for a basketball court. Employees can take breaks there and have fun. 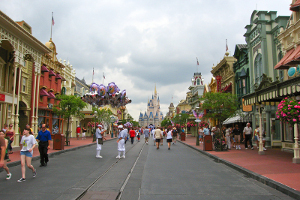 Everything along Main Street, including Sleeping Beauty’s Castle, was designed with forced perspective. This means that the bricks, windows, and other features at the bottom of a building are larger than the ones at the top of the building. This is an optical allusion of sorts by forcing the mind to believe that the buildings are taller than they are. You will be able to enjoy these streets without worrying about getting a traffic ticket that only traffic school would be able to dismiss. 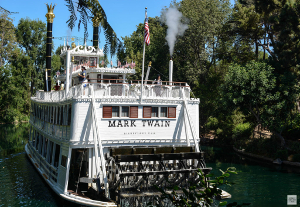 If you ask cast members nicely, you may be able to ride in the wheelhouse and meet the captain of the Mark Twain Riverboat. They will show you how the boat is driven and allow you to steer. At the end of it, you get a certificate for piloting the riverboat. 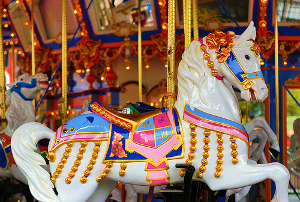 On King Arthur’s Carousel there is a special horse that is ornately decorated with many rows of jingle bells. Her name is Jingles and she is the Carousel’s lead horse. She is the most ornately decorated of all the horses and in 2008, she was re-painted and dedicated to Julie Andrews for her 50 years of contribution to the Disney company. 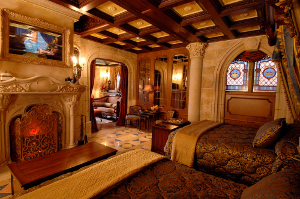 The drawbridge on Sleeping Beauty’s castle is a real, working drawbridge. It has only ever been lifted twice during its existence, though. The first time was in 1955 for the grand opening of the park and the second time was in 1983 for the rededication of Fantasyland, after refurbishments. 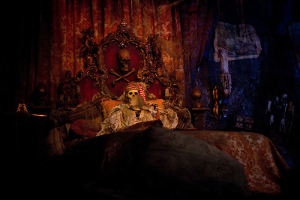 In the scene on Pirates of the Caribbean where there is a skeleton laying in a bed surrounded by jewels, the skull on the headboard is a real human skull. Originally, when the ride was created, all skeletons on the ride were real, but as better technology was created that could adequately replicate human bone, the real skeletons were replaced with artificial ones, except for that one skull on the headboard. There are about 200 feral cats that call Disneyland home. 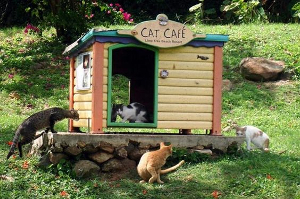 These cats are fed by cast members and reside in luxurious “cat houses” behind the scenes. They roam freely during the night and are meant to keep rodents at bay, so the only mice at the park are Minnie Mouse and Mickey Mouse. The address for Disneyland is 1313 Disneyland Drive. 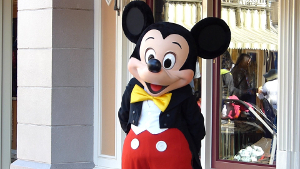 The letter “M” is the 13th letter of the alphabet, so it stands for “MM” or “Mickey Mouse”. 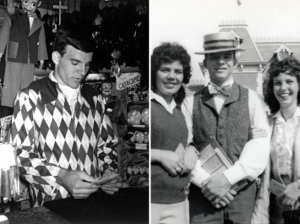 In his younger years, famous funny man, Steve Martin, used to work at the Magic Shop on Main Street and would show off tricks to all the Disneyland visitors. In addition, Pixar extraordinaire and current creative director of Disney, John Lasseter, used to work as a tour guide on the Jungle Cruise ride. I hope that I taught you something new and maybe enticed you to pay a visit to the most Magical Place on Earth. Despite the crazy SoCal freeway traffic and hectic crowds in the park, a visit to the park is well worth the trouble. Disneyland has something for everybody, whether the young or the young-at-heart. It is most definitely the Happiest Place on Earth.